The Owner and CEO, Lothar Pirc and his wife, the Medical Director of the Maharishi Ayurveda Health Centre Bad Ems, Dr. Karin Pirc, inspire the highly distinguished audience that met on the subject of “Medical Plants and Ayurveda”. 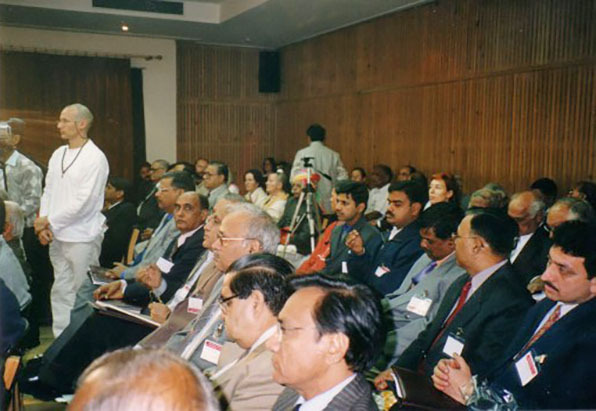 The participants of the symposium included the Vice President of the Indian Government, Federal Ministers, and Prime Minister of the Indian States, as well as spiritual leaders, renowned Vaidyas and professors of several Ayurveda universities. The presentation was originally scheduled to last just 15 minutes; it ended up as a lively 45-minute dialogue, with many questions from the audience, and culminated in a standing ovation. 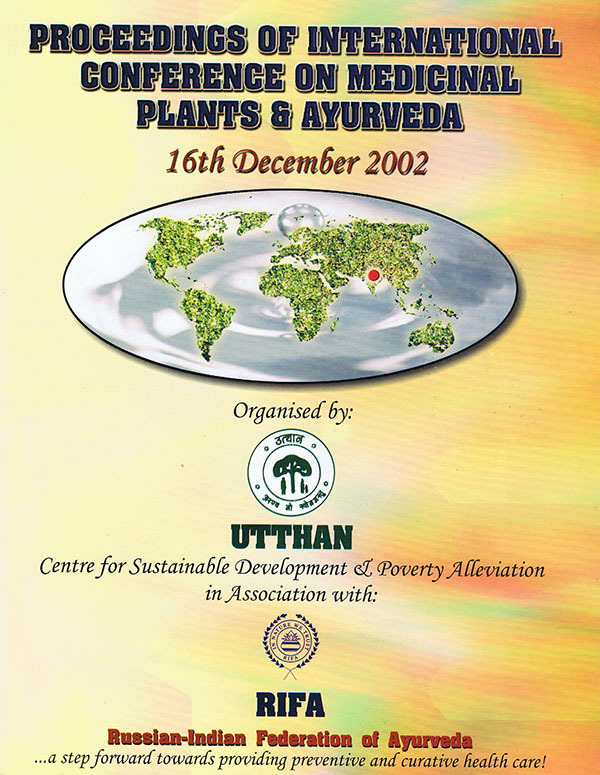 Lothar Pirc referred to the great accomplishments of Maharishi Mahesh Yogi, who has been the primary force in the recent globalization and current successes of Ayurveda. Maharishi Ayurveda (a protected trade name) has been verified through scientific research, and its high standards of practice are recognized worldwide. Lothar Pirc further emphasized the vast successes of Maharishi Ayurveda because of its completeness, and distinguished this approach from the “Ayurveda-Light” system. Not only Panchakarma and herbal preparations, but also the direct experience of “Atma”, the pure and silent state of consciousness, are fundamental for the maintenance of health as well as the healing process. These experiences are made possible through the Transcendental Meditation program and other Vedic technologies that are part of Maharishi Ayurveda. Dr. Karin Pirc later described her experiences from the Ayurvedic treatments of more than 17,000 patients. Furthermore, she presented scientific studies that confirm the healing successes of Maharishi Ayurveda in the maintenance of health, and those studies also inspired great interest in the audience.